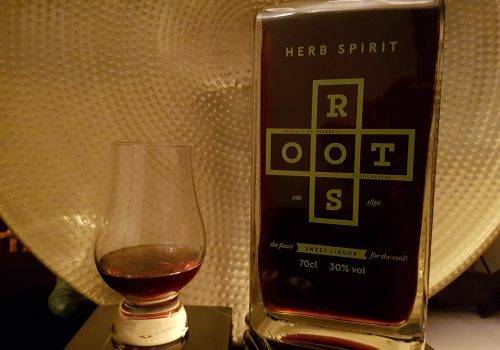 Roots Herb Spirit is a herbal liqueur based on Origanum dictamnus, more commonly known as dittany of Crete, a cousin of oregano. 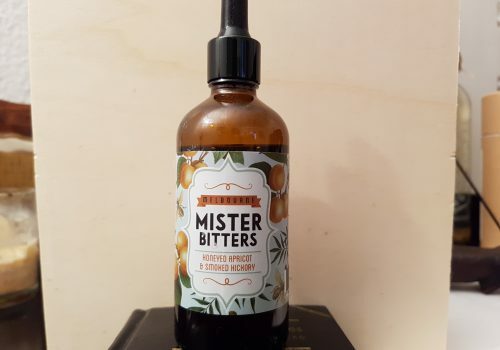 Natural extracts of the plants are blended with vanilla pods, licorice root and extracts of nutmeg nuts to produce this richly flavoured liqueur. All extracts are 100% natural. No flavour essences or artificial flavourings are used. Nose: Roots Herbs Spirit is warm to the nose and smells of liquorice, vanilla, nutmeg, dried fruits prune and molasses. It also has an herbal scent, that of dittany. Mouth: In terms of mouthfeel, Roots Herb Spirit is almost syrupy. It tastes of dittany, liquorice and vanilla. The nutmeg is much more subtle and reveals itself as an aftertaste. 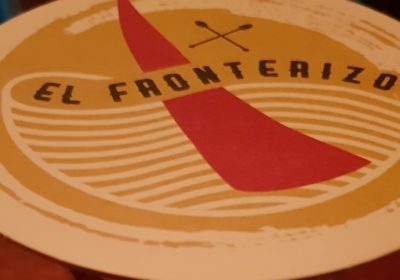 The liqueur is sweet but has a slightly bitter and fresh – kind of minty – aftertaste. It is also a little tingly on the tongue. Very smooth with a medium body and mouthfeel and a pleasantly long finish. 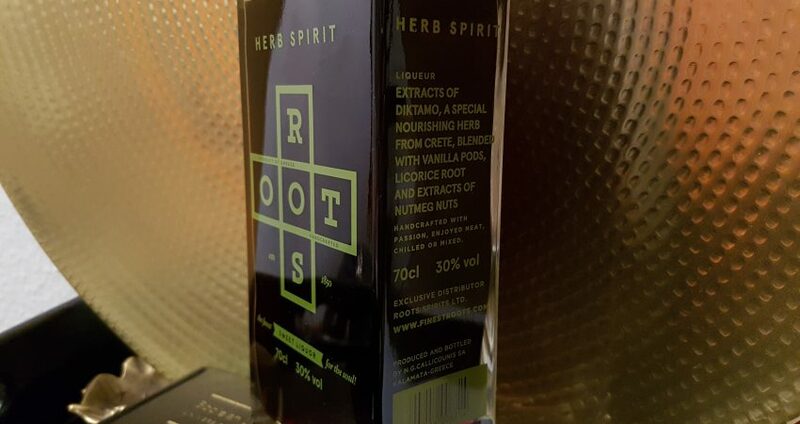 Drinks: Finest Roots website indicates Herb Spirit can be served in frozen shots, on the rocks, straight up “for a natural kick” or as ingredients for “rich and earthy cocktails”. 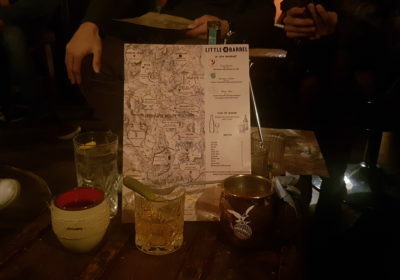 I discovered it as part of an aperitive drink called Tramonto on my visit to Odori Vermuteria di Atene, a bar specialized in low ABV drinks, on my last trip to Athens. Mixed with Odori vermouth blend and pink grapefruit soda, it made for an extremely refreshing and light drink, that strongly reminisced me of Pimm’s. I bought a bottle in a liquor store before I left Athens and returned to Geneva. Back home, I tried it neat (definitely needs to be cooled down to feel less syrupy), straight up (as recommended and for a reason) and tried to mix it up in tiny shots. As I was trying not to waste the only bottle I have, I was working with really small quantities (only 20 ml of Herb Spirit). 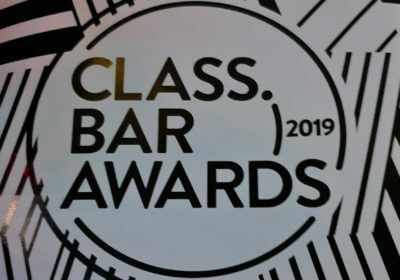 The mixology section on Finest Roots website lists cocktails created by bartenders around the world. I got inspired by one of these recipes, called the Herb Paantsch, that uses Roots Herb Spirit, fresh lemon juice, ginger syrup, cucumber syrup and vanilla madagascar syrup. I didn’t have the last two ingredients so I substituted them for one test shot with Chambord liqueur and the other with elderflower cordial. Also I used ginger juice instead of ginger syrup. As I was working with ridiculously small proportions, the trials might not be very conclusive and I’ll have to try again with regular quantities. However I can already say that both Chambord and elderflower cordial seem to work with Herb Spirit. I might have put too much Chambord so I thought it tasted to sweet but the flavours didn’t clash. On the other hand, the elderflower cordial brought a pleasant floral taste to the drink. Yes, I’ll try that one on a bigger scale next time! Bottle: Square clear glass bottle made of heavy glass with rounded angles. The logo, a cross spelling “Roots”, takes most of the bottle’s front and is also carved on top of the composite cork’s wooden top. The shape and colour of the logo (green) distinguish Herb Spirit from Finest Roots’ other products (Tentura, Mastiha and Rakomelo) but, just in case, Herb Spirit is written above the logo. Beneath it stands the motto “the finest sweet liquor for the soul!”, the quantity and the ABV. On the cross’ branches are reminders that Finest Roots products are products of Greece and handcrafted. 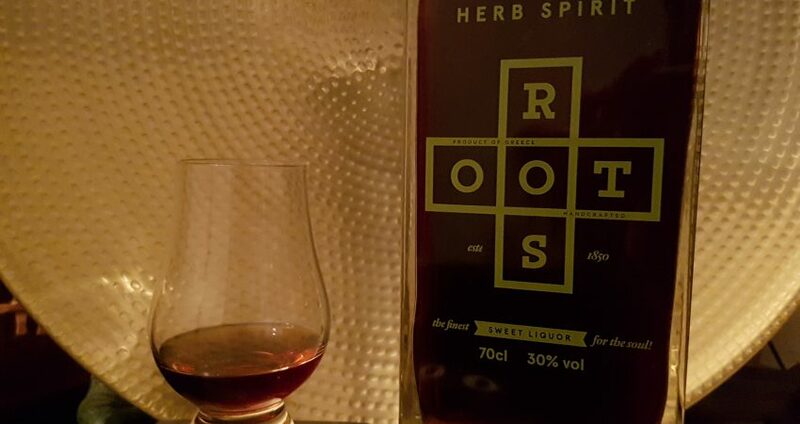 Finally, while Finest Roots was established in 2012, its originates from the old family’s distillery in southern Greece, which was established in 1850, the date mentioned on the bottle.